Checking our Facebook inbox allows us to connect with RL readers from all over the country. Aside from recommending professionals, dishing out tips, and answering queries, we’re also happy to see photos from homeowners who are extremely proud of their finished spaces. 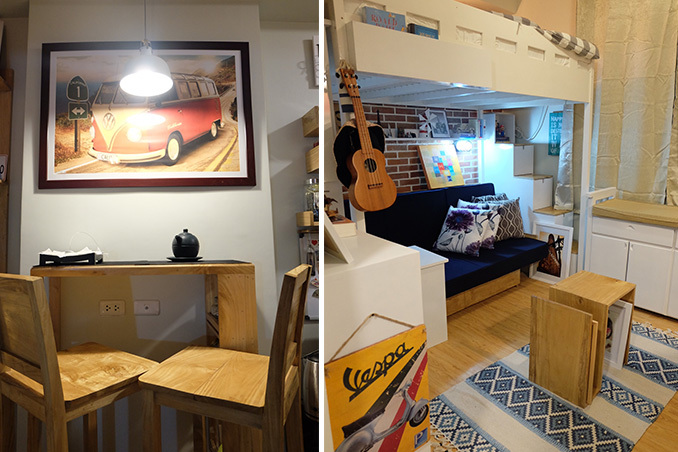 A few months ago, a reader based in Cebu sent us a message and a few photos of her compact yet comfortable home that she designed on her own. Avis envisioned the unit to be a representation of herself. Since she’s an old soul who loves to travel, her home is filled with pieces from her trips, décor items that feature well-loved destinations, and a couple of interesting finds that make it snug and inviting. The final result is a home that’s personal and unlike any other, a proof that you can make a difference in a small space with a feasible budget, tons of design inspiration, and a unique personal style.